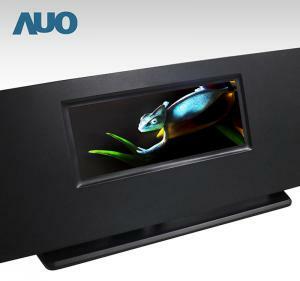 AUO demonstrated a micro-LED display, which it says is the world's highest resolution full-color TFT micro-LED. The 8" panel features a resolution of 1280x480 (169 PPI). 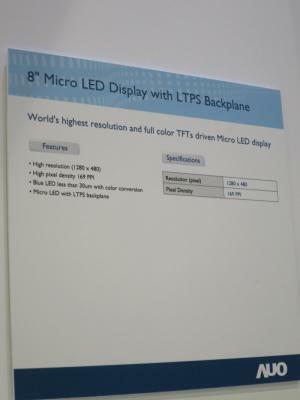 The micro-LEDs use blue LED chips with color conversion, on an LTPS backplane. AUO did not disclose any roadmap to commercialize this technology. In addition to the Micro-LED display, AUO also demonstrated several high-end mini-LED backlit LCD displays, including a 27" 4K 144Hz gaming monitor and a 1,000 PPI 2" LTPS VR display.